Tracking your keyword rankings is an essential component in knowing if your keyword changes are working. This lesson will show you how to track your keywords to figure out which keywords are doing well and which ones need to be replaced. Additionally, we will cover how to use Sensor Tower's platform to look at competitor keywords and to find new keywords. Your keyword goal is to rank in the Top 10 for all of your keywords. People are much more likely to download your app if it ranks in the Top 10 and comes up in the top search results in the app stores. It is important to understand that this is an ideal result and not an absolute rule. Your app may not be ranking in the Top 10 for a certain keyword, but a highly relevant keyword in the Top 18 is not bad either. This is where testing comes into play. You need to test your keywords and measure how they affect your downloads. There are numerous ways to track your Keyword Rankings, in this example we will use Sensor Tower's platform as an example. First, log into your Sensor Tower account and click on the Add New App button in the upper left corner of the screen. Type in the name of your app to track in the pop-up window, we will use Waze as an example. Then, head over to our Keyword Rankings tab, under App Store Optimization, to enter the keywords that you want to track. We recommend clicking Track All Terms from our pop-up so you can automatically pull in all the your estimated keywords from the App Store. However, if you want to track specific keywords, you can type the keywords into the bar and separate each one with a comma. Our platform will scan the App Store and find where your app ranks for each keyword. The graph shows your historical ranking for the selected keyword and the statistics for specific keywords will be displayed under the graph. These metrics include the Traffic Score, Difficulty Scores, the number of iPhone and iPad apps currently ranking for this keyword, and your current rank for this keyword on the iPhone and iPad. It is important to note that keyword rankings are not static. You need to track them over a period of time and understand the range that your app falls into for each keyword. If you jump to a conclusion about a keyword based on one day’s worth of data, you may not be getting the complete picture. You should monitor your keywords on a weekly basis to be aware of any sudden shifts in your rankings. Frequent reviews of your keyword rankings will give you an early warning as to when your keywords need to be replaced. If your rank for a keyword drops from the #2 – #6 range, down into the #25 – #30 range, it might be time to find a replacement keyword. If you neglect to check your keywords for a couple of months, your rank for a keyword could drop all the way down into the #100 – #112 range. Not detecting this earlier means lost organic growth opportunities. We recommend checking your keyword rankings at least twice a month to stay updated on any changes that may occur. As you track your keywords, you may notice that you want to replace a couple of them to revamp your keyword string. We will cover how to find better keywords through a variety of methods, such as competitor research, keyword suggestion tools, app descriptions, and more. Before you begin, it is helpful to create a spreadsheet to track your keyword ideas. You can create your own or download this one. The first thing that you can do is spy on the keywords of your competitors. A few ASO websites allow you to do this, but let’s use our our homepage as an example. 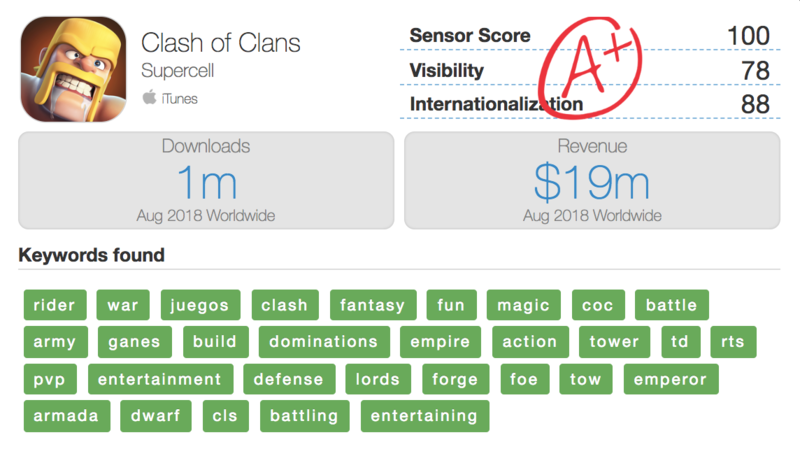 When we analyze the mega game Clash of Clans, this is what we discover about the keywords they currently rank for. Look at the other apps in your category and find out what keywords they are ranking for. This will give you keyword ideas that you can use for your app. From there, make sure that those keywords fit into your selection criteria. Remember: Relevance, Traffic, then Difficulty. With Sensor Tower's platform, you can use the Keyword Spy module to help you evaluate competitors’ keywords and keyword selection strategies. This tool will pull in all the keywords your app and your competitor's app is currently ranking for in the app stores. The numbers next to the keywords are the keyword ranks for that particular app and the highlighted keywords appear in the app title. You can really dive deep into the keywords your competitors are currently ranking for and compare your keywords with those of your competitors for new keyword ideas. 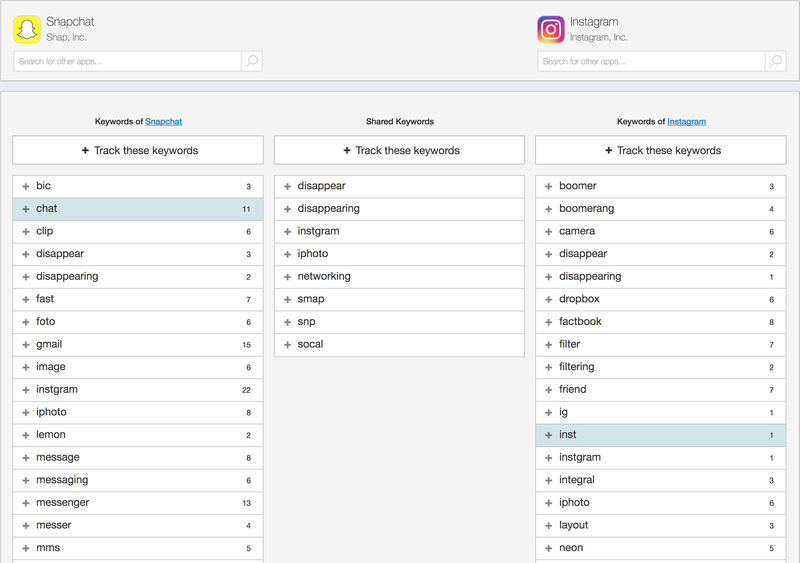 In addition to new keyword ideas, Sensor Tower allows you to directly track your competitor keywords on our Keyword Rankings tab by clicking on Track these keywords. Additionally, we have a module in the Sensor Tower platform called Keyword Suggestions that provides suggestions based on your current keyword list. It can be tuned to filter more common words, you can give your existing keywords more or less weighting and you can even add or exclude words. Below is an example of what this module looks like for Clash of Clans. To find out more about our Keyword Suggestions module, read this blog post. Examining how other publishers describe their app can be another good way to find relevant keywords. Sometimes these publishers may not even realize that they are using great keyword ideas within their app descriptions. Read through your competitor app descriptions on iTunes and Google Play and add more keyword ideas to your spreadsheet form these descriptions. An easy way to look up the descriptions for numerous competitors is through Sensor Tower's Overview feature under App Profiles. You can easily read the sub-title and app description for any iOS app and the long description for any Google Play app with this tool. Using our platform makes this research process a little faster, you can also check out our iOS and Android charts if you want to view the top ranked apps and their App Profiles. Examining user reviews can also be a great way to prospect for keywords and supplies you with keyword ideas generated by your users. Using this method allows you to get a better idea of what a potential user of your app might search for to find an app like yours. Sensor Tower's free Review History pulls in every single review from the App Store and Google Play Store so that you can further analyze your reviews. With this feature, you can organize your reviews into easily ordered lists based on version, date, country, or rating. In addition to your own reviews, you can look up your competitor reviews to find out what people think of your competitor’s apps. You can look up the reviews of any app from the App Store or Google Play Store. You can also find out this information in iTunes by browsing the reviews for an app. Doing hashtag searches on Twitter can turn up more keyword ideas. When you search for a hashtag (a keyword with the # symbol in front of it), Twitter will pull up a list of tweets that contain that hashtag. Skim through the search results to discover related keywords for your app. For example, searching for tweets related to health turned up the word “carrageenan.” This is an unusual word that might be a good keyword to target. Even if it isn’t, it can lead you to other keyword ideas. The first thing that usually comes to mind when searching for keyword ideas is the Google Keyword Planner Tool. It is a great tool with an abundance of data regarding keyword searches. If you have any questions, be sure to read the Google documentation if you have any questions. You will need to use a Google account, but the tool is free to use. There are also other keyword suggestion tools such as Wordstream. It's free and offers slightly different ways of presenting keywords. Depending on your own experiences with the Google Keyword Planner Tool, it may be easier to use than the Google tool. Another place to find keyword ideas online is a simple thesaurus tool. Websites like Thesarus.com can provide synonyms that you can use for your keyword list. It might take a little digging to come up with good keyword ideas but this is a good way to investigate keywords based off of relevancy. Visiting websites that are related to the subject matter of your app is another way to get new keyword ideas. You can setup a reader like Feedly to watch various websites to see what they publish and track new ideas from a variety of websites. You just need to check in periodically to see the results and keyword ideas. 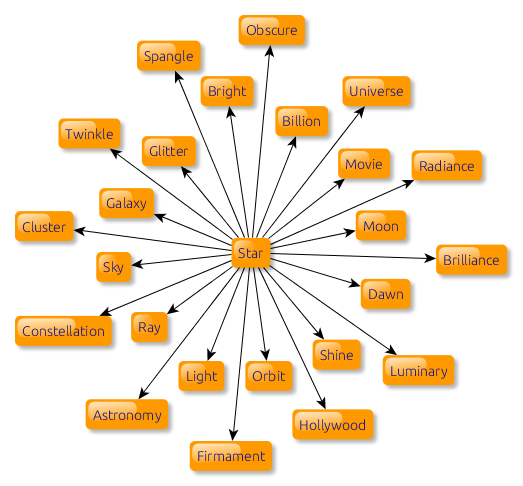 Finally, using word associations can help you develop your own keyword ideas for your app. To manually complete a word association, quickly brainstorm a list of at least 20 keywords ideas and put them in your spreadsheet. Go through each word on the list and write down the first thing that comes to mind when you see that word. After going through your initial keyword list, go through your secondary list of keyword ideas and perform the same action. Repeat the process as often as you feel it is beneficial. You can also visit word association websites, such as the Word Association Network, to automatically generate keyword list ideas from word association sites. We've covered how to track your keywords and how to find high quality keywords in this lesson. If you found this information useful, be sure to bookmark this page so you can reference it later. The process to find new keywords may seem confusing at first, but it will be rewarding in the long run for ASO. Simply get started with tracking your keywords and take it from there. Additionally, it is important to note that there are a lot more keyword sources out there and you are not limited to only the ones we mentioned. In our next lesson, we will give you a simple, efficient, and repeatable process that you can implement every time you need to improve your keywords, this process will help you implement everything we have covered in our ASO academy so far.